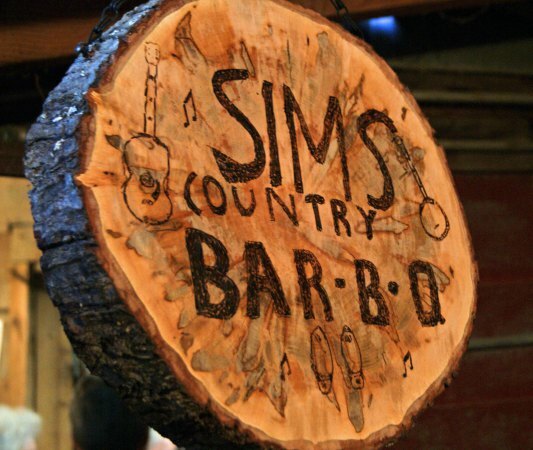 While we were in North Carolina, we had a chance to visit a local institution, Sims Country Bar-B-Que. They’ve been there since the 70s, and are only open for dinner on Friday and Saturday evenings. To say it’s “no-frills” is being generous, and that is in no way disparaging. 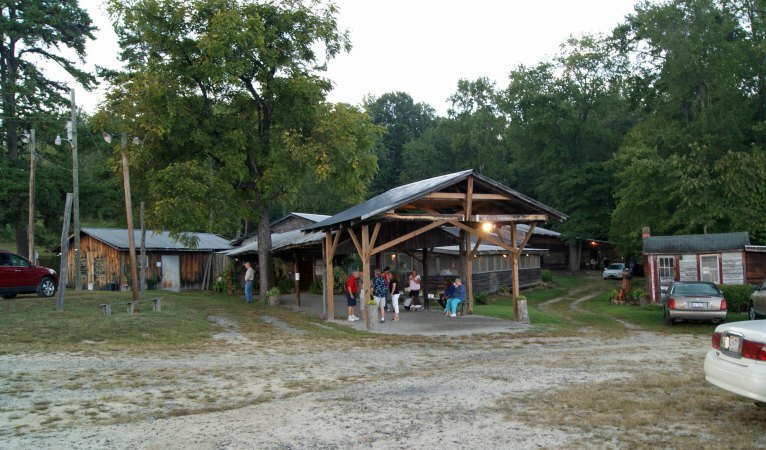 Knowing that it’s in the North Carolina foothills, it fits everything you would expect – tin roof, rough-hewn timber buildings, bluegrass band, and pit-cooked meat. 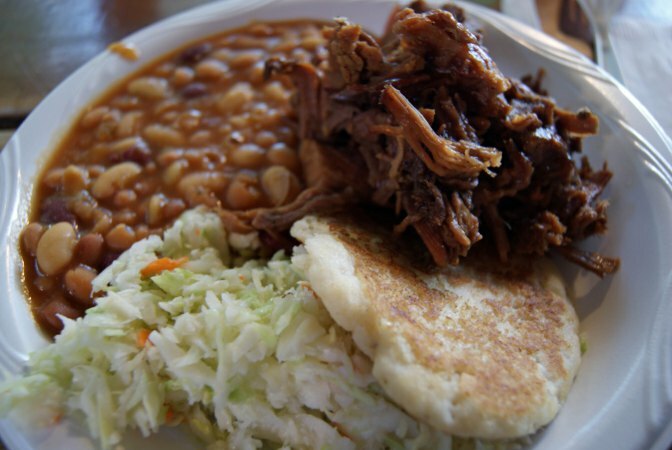 It’s all-you-can-eat, and includes cole slaw, baked beans, and cornbread fritters; good, home-style stuff. It’s clearly a local gathering place, as there were more than a few parties of 15 or more, mostly extended families getting together for dinner. Even Mr. Sims was out and about, chatting with customers. Just a cute, down-home kinda place. We’ll definitely be back when we’re in the area. This place looks awesome! I’ve never heard of it.